Josephine is characterized by the piping finishing in different a colour from the rest of the upholstery art deco shapes. 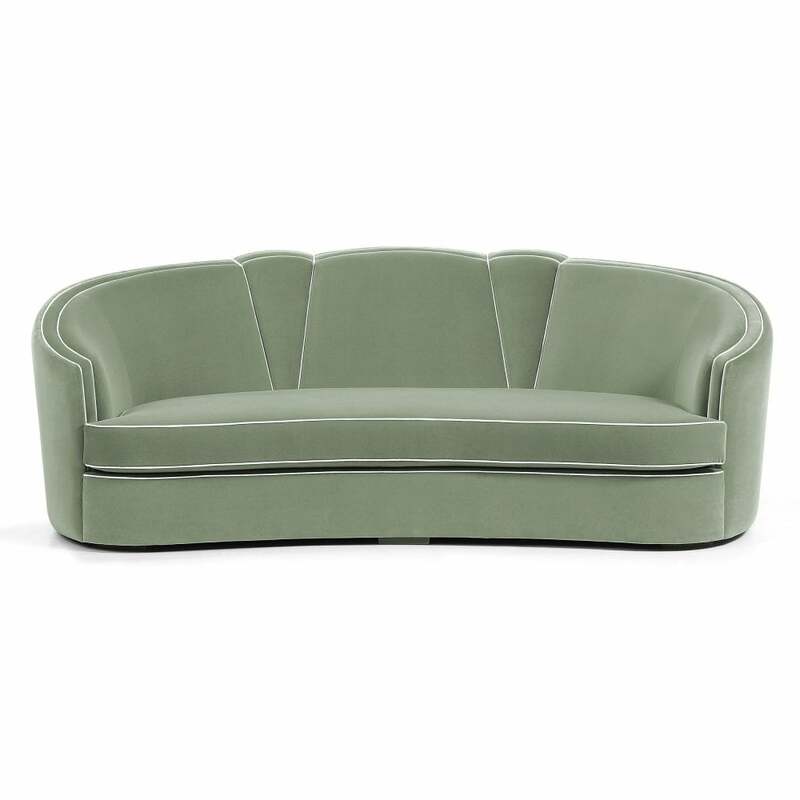 The Art Deco curved shape embodies the Josephine sofa in a discrete yet seductive 20’s female spy, who loves to take part in historical triumphs. The sofa is divided in three main areas with a reclined back and soft seat. It is a round sofa appealing to feminine shapes..